In the "Oldest Town in Texas,” music fills the air and history beckons at every corner. 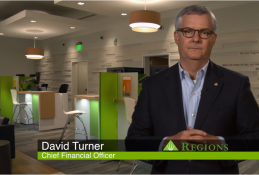 We are highlighting Nacogdoches, Texas, this month in our Good Towns series. Spotlighting special towns across the country, Good Towns is about the character, the history, the people and the unique things that make a town a special place. 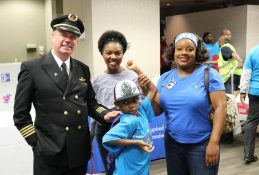 We hope you enjoy this story about Nacogdoches and its many charms. 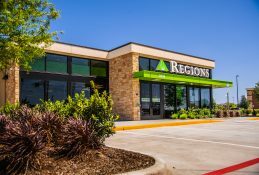 Pronounced without the “g,” the town of Nacogdoches is situated behind what some call the “Pine Curtain,” a vague boundary that separates the tall trees and swamps of East Texas from a more stereotypical cowboys-and-longhorns view of the state. Not that it isn’t rural. Internet is not available and cellphone service is spotty for quite a number of county residents. The city sports the motto, “the Oldest Town in Texas,” its first Spanish mission having been founded here in July 1716. 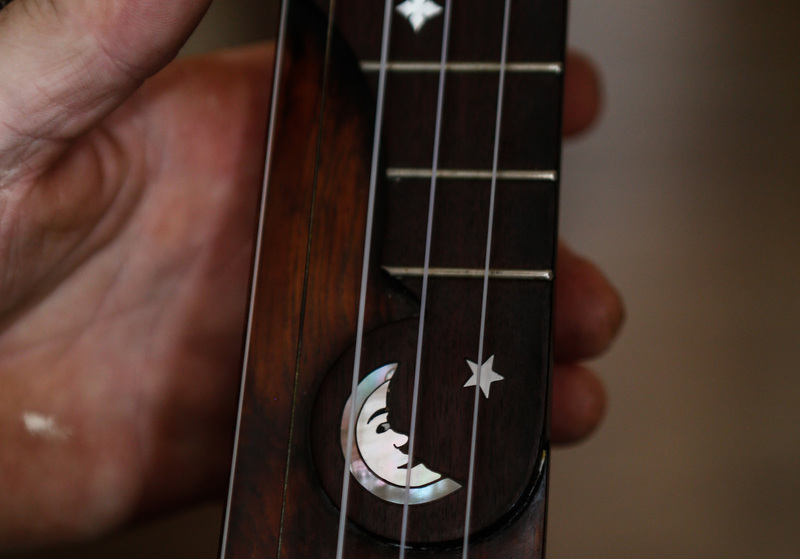 Top: A custom inlayed banjo by string instrument maker Steve Hartz. 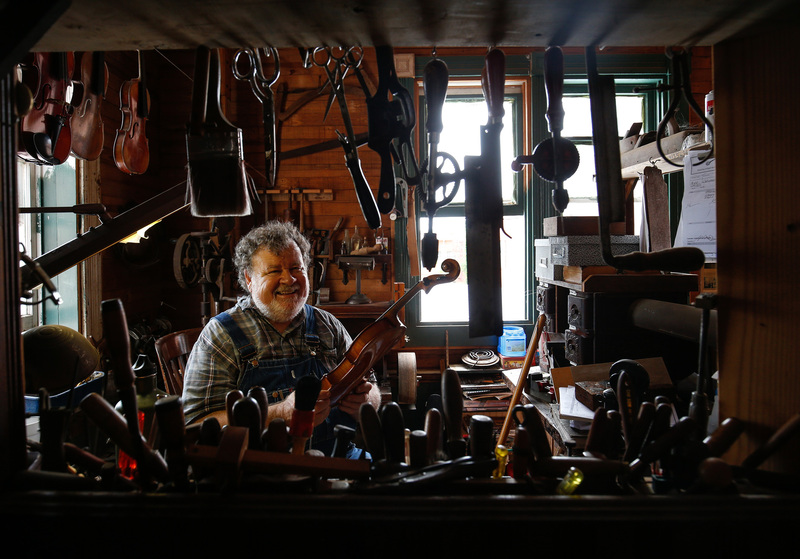 Below: Hartz at his General Mercantile and Old-time String Shop just off Main Street. Exactly 300 years later, about 75 re-enactors marched into a grassy area south of downtown, dressed uncomfortably in attire from three centuries previous. Even before 10 a.m., the Texas summer heat led some to worry they would faint mid-ceremony during the re-dedication of that original mission, which had been named Nuestra Señora de Guadalupe de los Nacogdoches. Holding outdoor events in Texas can be a dangerous thing in the middle of summer, but the group of history buffs had wanted to hold the ceremony on July 9, the exact day of the mission dedication 300 years ago. The heat, they agreed, made things more authentic. 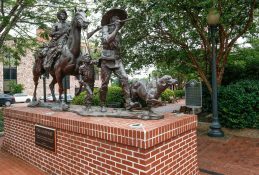 Four missions in all were built in or near Nacogdoches around the same time as the far more famous one buzzing with tourists in San Antonio. But unlike the stone used to build the Alamo, East Texas missions were built with a readily available resource — wood. Today, a stone marker is all that’s left to identify that original mission near what is now the AutoZone® parts store, though the exact location is still under debate. 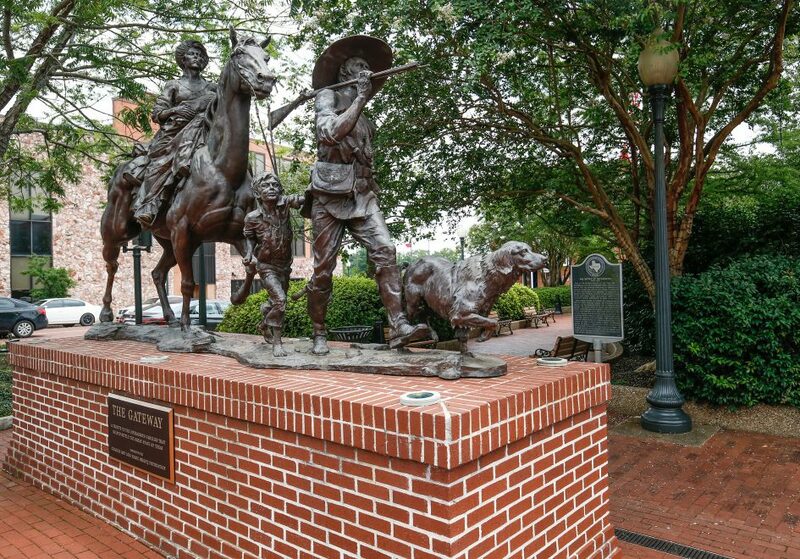 Aside from relatives and the Texas Blueberry Festival every June, history is what brings many out-of-towners to Nacogdoches. Many of its historic buildings and homes still stand, with docents welcoming visitors. 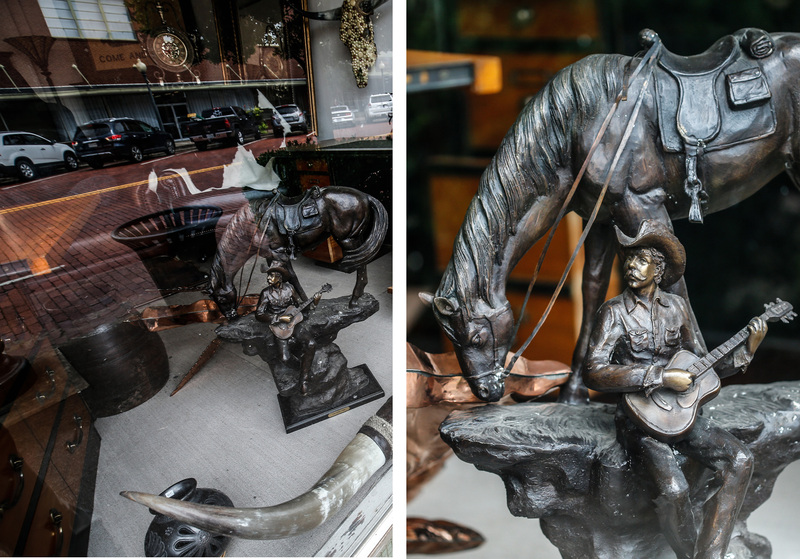 An antique shop window on Main Street provides a glimpse of a strikingly detailed work focusing on a cowboy, his guitar and his horse. Structures not open to the public are photographed and admired from the outside, including a handful of unique homes designed by German architect Diedrich Rulfs, who came to Nacogdoches after the Civil War and remained until his death in 1926. Among his most notable buildings is a 1908 church that fell into disrepair after its congregation moved in 1987. 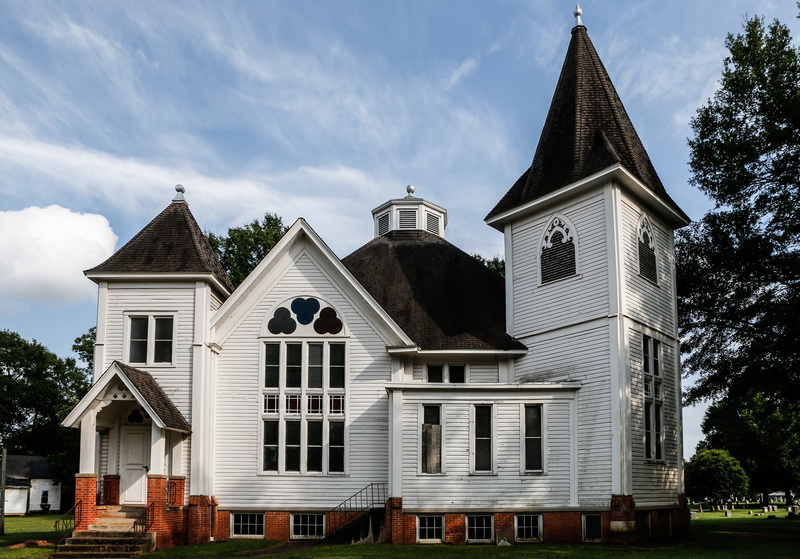 Featuring odd curves and expansive windows, Zion Hill Baptist for years has been the focus of multiple restoration efforts. 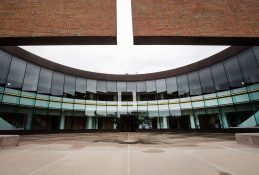 Grants, fundraisers and donations have resurrected its exterior, including closing an expensive, gaping hole in the roof and ceiling. “It looked like a bomb went off up there,” said Jessica Sowell, the city’s assistant Historic Sites Manager, pointing to the church’s high ceiling. Once restored, she said, it will be opened as a museum and events venue. 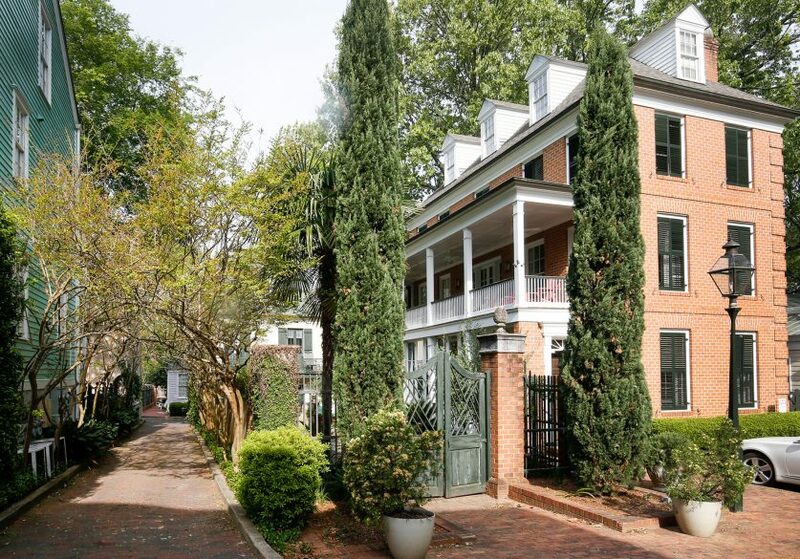 Among the sites open for visitors are the 1830 Sterne-Hoya House Museum, just a few blocks south of the church. Depending on their guests’ interests, tour guides here have stories and exhibits to offer, including a wreath made of human hair. With most, though, the pianos are a big hit. On display are an antique piano forte, organ and a rare square grand. “People like seeing the progression of the piano,” said museum docent Shelby Winthrop, a university student majoring in history. If she had a nickel for every time a visitor asked if the house is haunted, she would be well off indeed. But there are no ghosts here, she said. 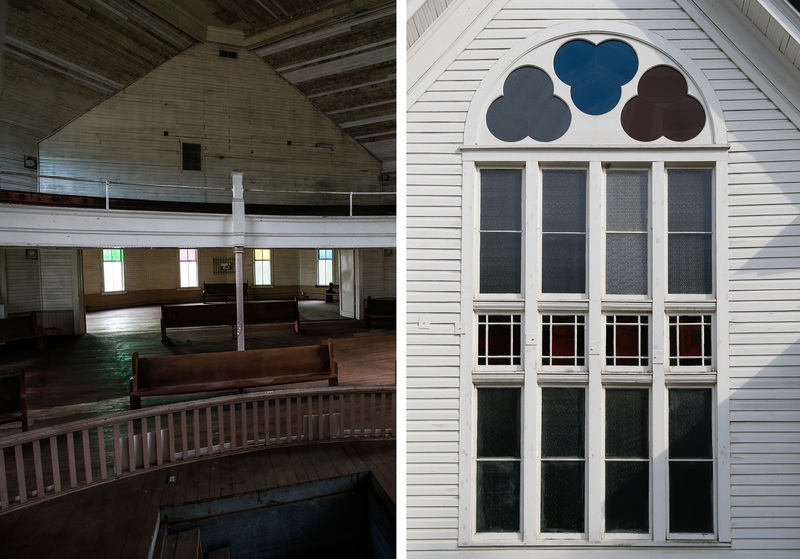 Images from the street and within of the historic Zion Hill Baptist Church. The second-oldest building in town lies along its main business corridor. In the summers, the staff at the Durst-Taylor House and Museum encourage anyone in earshot to eat their fill of the figs that ripen in over-abundance. A small and sometimes uncertain crop of sugarcane on the property every January is transformed into cane syrup before guests’ eyes. Just as it was done 100 years ago, the cane press is mule-powered. 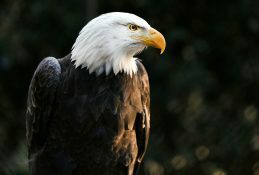 Many of the visitors to Nacogdoches’ historic sites tend to be either school groups or females, with some notable exceptions. 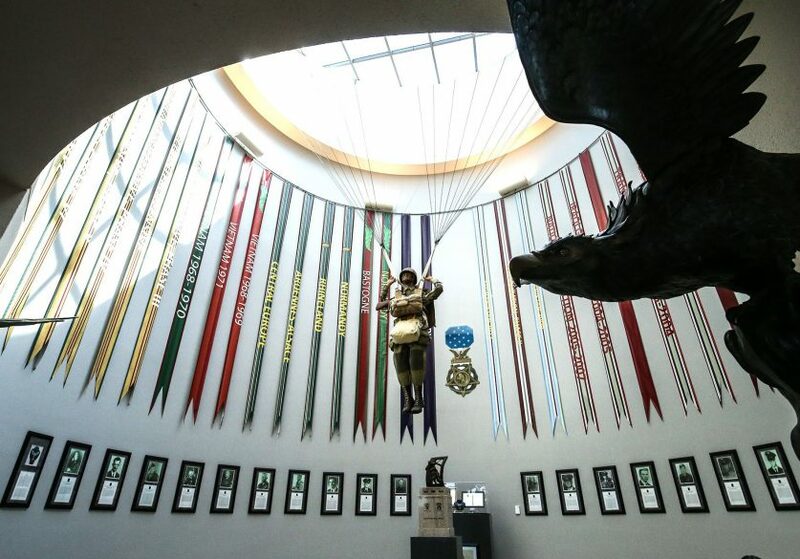 A few years back, a Confederate weapons and artifacts exhibit opened on the second floor of the Old University Building, which had once served as a Civil War Hospital, among many other uses. Tour guides there noted that once the exhibit opened, the building hadn’t seen so many men come through it since the Civil War itself. Diehard preservationists have never been hard to find in Nacogdoches, but they don’t win every battle. A university professor who once tried to prevent a demolition with a shotgun was arrested on a terroristic threat charge back in 2005, reportedly bonding out of jail in time to teach awestruck students the next day. 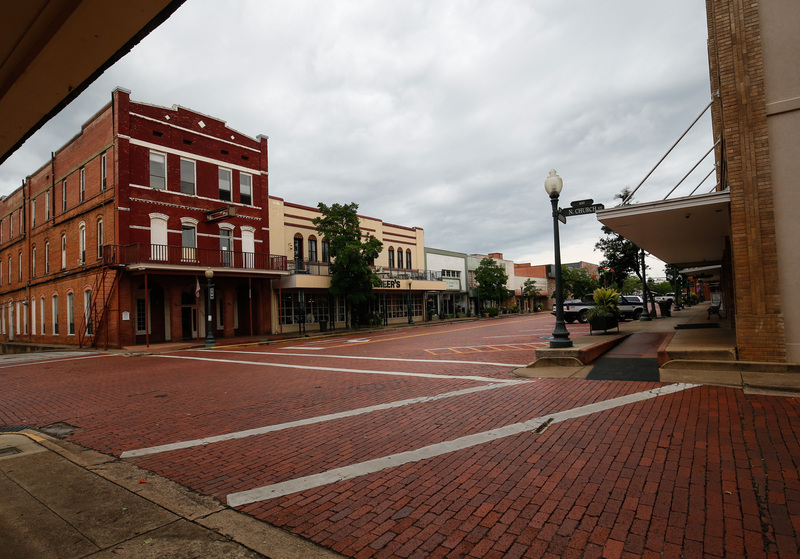 A view of Main Street in Nacogdoches, which begs you to park your car and meander on foot to see it all. 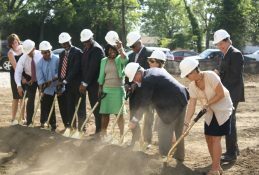 Among the most noted preservationists is the late Lera Millard Thomas, who had been the wife of Congressman Albert Thomas. When he died in 1966, she was elected to serve out his term, becoming the first woman elected to congress in the State of Texas. 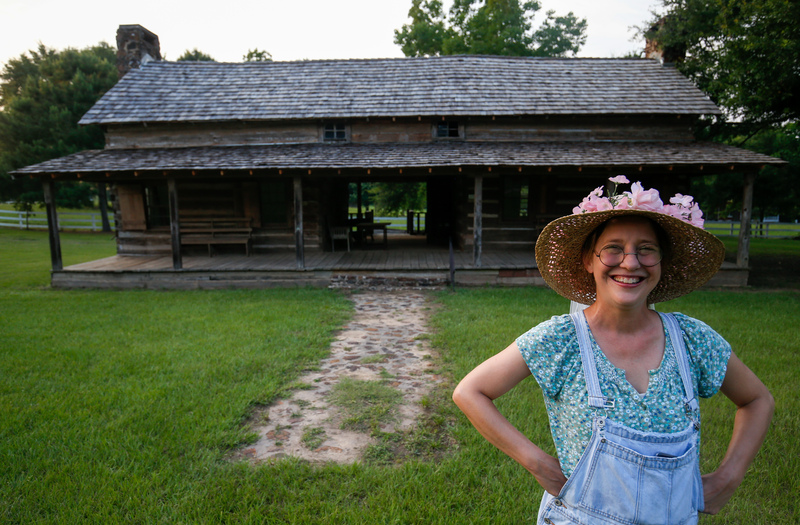 She is best known locally as the founder of Millard’s Crossing, a history village that began in the 1970s when she moved doomed historic structures to the family’s property north of Nacogdoches and restored them. Roz Couch in front of a dogtrot style house at Millard’s Crossing. Children, she said, did the clothing and dish washing and carried water — all the things now provided by modern utilities. The washtub and hand-cranked clothing wringer still work fine, and get plenty of use as Couch teaches 21st Century children the 19th Century version of the spin cycle. She has been giving tours at the village for more than a dozen years. For residents who grew up here, Millard’s Crossing and Couch’s tour and lessons on pioneer chores and games are part of their childhood — the Education Department at Stephen F. Austin State University annually coordinates a field trip to Millard’s Crossing for every third grader in the county. One Friday night per month, the Millard’s Crossing becomes a venue for what is known as “roots” music, an ageless combination of blues, country, folk and rock music that has enjoyed a resurgence in recent years. Formed in 2001 when a group of living room pickers assembled to share their talents publicly, the Pine Knot Music Co-Op has been an outlet for musicians who work day jobs to earn applause and tips. Priscilla Coulter at Fredonia Brewery offers up a pale ale and a dark porter. The seats in the tiny chapel are hard pews, but among regulars who gathered to hear Enrique Munguia play guitar and pan flute simultaneously, there were no complaints. For a town of only 35,000, it’s not hard to find a live performance in Nacogdoches. 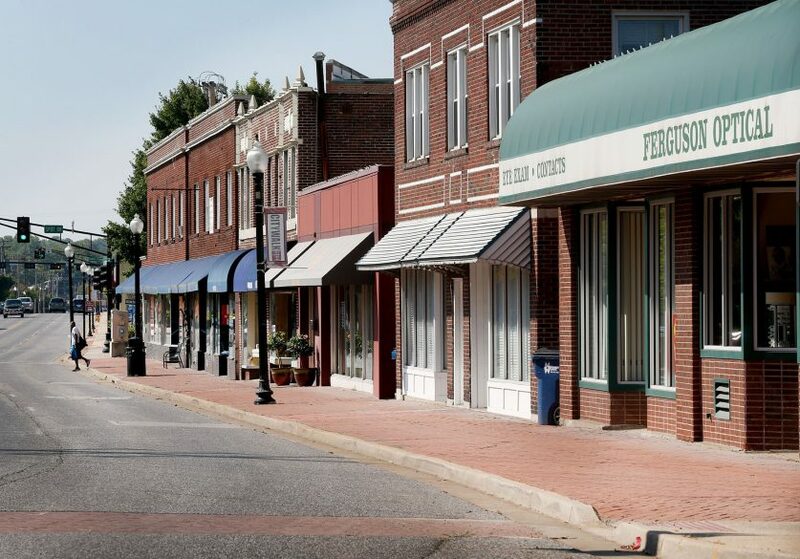 Just about every Saturday, locals gather downtown at the General Mercantile and Old-time String Shop to pick and strum their guitars, fiddles, dulcimers and banjos. 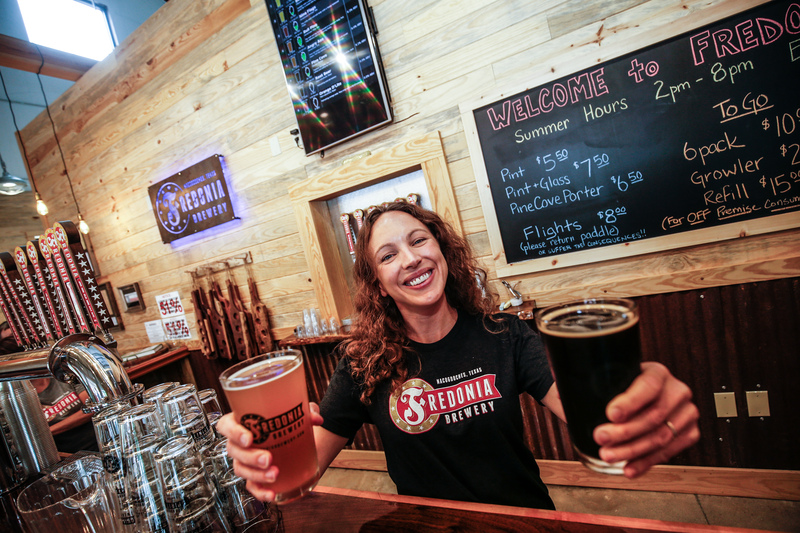 Also downtown is the recently opened Fredonia Brewery, a craft beer production facility that opens its doors to the public on Saturdays for live music and beer tastings. Though only open once a week, the brewery’s owners Vince Beard and Paul Murray added a large point of interest with a vast “beer can wall,” a collection of antique beer cans believed to be the most extensive anywhere. On Main Street on the edge of downtown, the modern-yet-rustic Liberty Bell is a combination restaurant, watering hole, art gallery and live music venue. 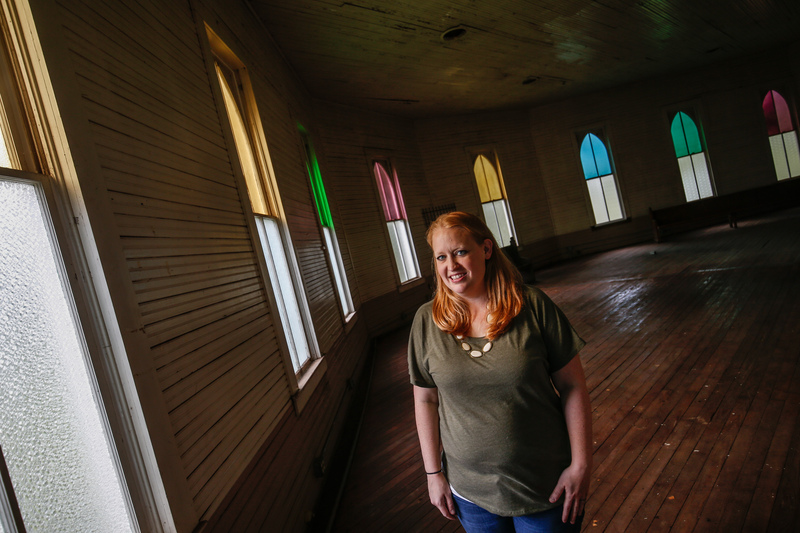 City assistant Historic Sites Manager Jessica Sowell inside the Zion Hill Baptist Church. Kennedy is one of the organizers behind the annual Nacogdoches Music Festival, and her Liberty Bell bar is one of a variety of venues where local music is center stage. Since her place is often a first stop for tourists coming into downtown, the staff is trained as much on local history as they are on menu selections. “We draw crowds from all over with some of the music we book,” she said. Musical venues and a rich history are among happy highlights for a town that for years has been thwarted by poverty and a stagnant economy. Its public school district has been on the state’s radar for underperforming campuses, and voters rejected two bond referendums in as many years. Undaunted, many of its citizens gather to teach horticulture and build gardens at its elementary schools while others reach into their own pockets to purchase and deliver supplies to teachers. In the heart of the town is the university, an important economic driver that reaches into many facets of everyday life in Nacogdoches. 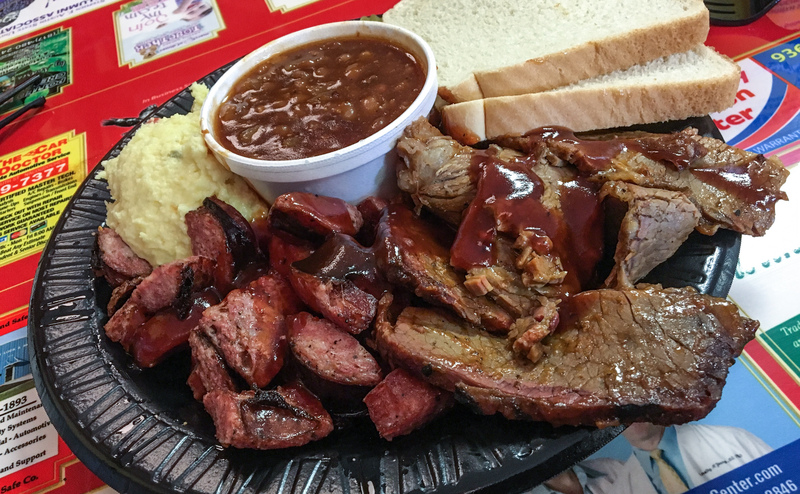 Lunch at Butcher Boys Smokehouse and Deli featuring the declicious sliced brisket and house-made sausage plate. 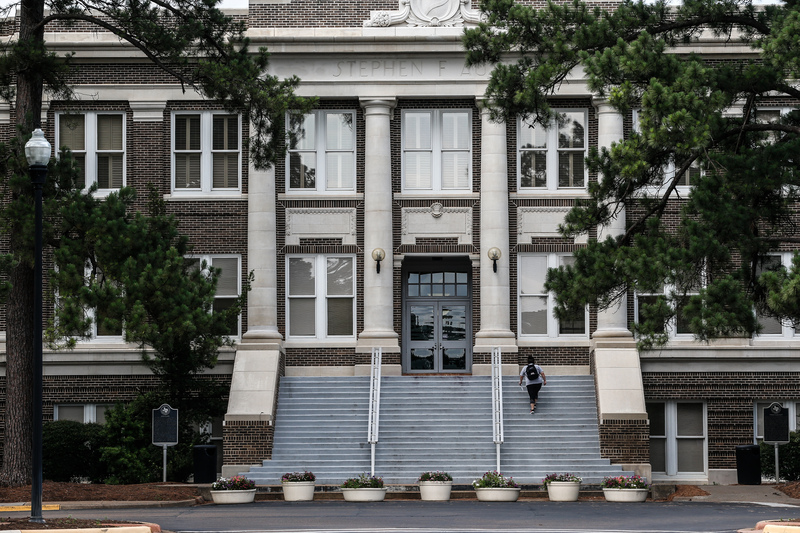 Founded in 1879, Stephen F. Austin State University is one of the oldest colleges in Texas. Brewer’s artwork is exhibited all over the U.S., though his most distinguished are large-scale, colorful bunny sculptures. 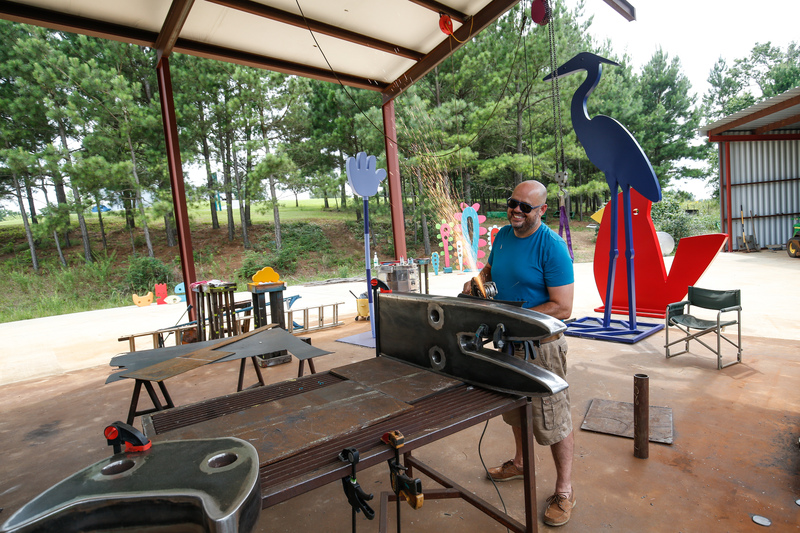 The son of a junk dealer, the East Texas native has always been an artist, but his signature over-size art happened by chance 10 years ago after a 5-foot sculpture he fabricated as a gift for a friend was stolen. 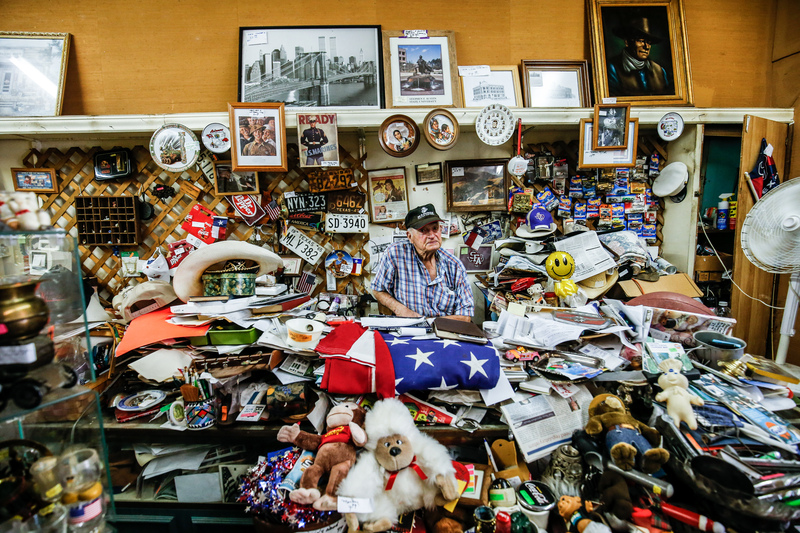 Above: Richard Tallent at his collectibles shop, The Main Street Antique Mall. Below: Sculptor Jeffie Brewer works at his studio. Among his many ongoing projects is coordinating a large-scale public art exhibit, displayed throughout Nacogdoches’ popular Ruby Mize Azalea Garden, which is touted as the state’s largest. “Sculpture for All” features 10 towering works of large-scale sculpture that become instant conversation pieces for garden visitors. The university’s theater and music departments often perform for the community, and its faculty often cross over into community theater by lending their voices and acting talent to productions like 1776 and Wizard of Oz, played out in a repurposed warehouse on the edge of town. The little theater seats 210, and every one of those seats is good, insists Lamp-Lite Playhouse Founder Sarah McMullan, who has directed and coordinated the nonprofit theater for more than 40 years. Flats used as backdrops are hand built, and most are several inches thicker from layers of re-painting: Little, if anything, is ever thrown away. From local fire departments to beauty shops, nearly everybody in the county knows someone who has loaned a prop to the Lamp-Lite. “This is the biggest closet in Nacogdoches,” said McMullan, gesturing among the costumes and props that make up four decades worth of live theater. 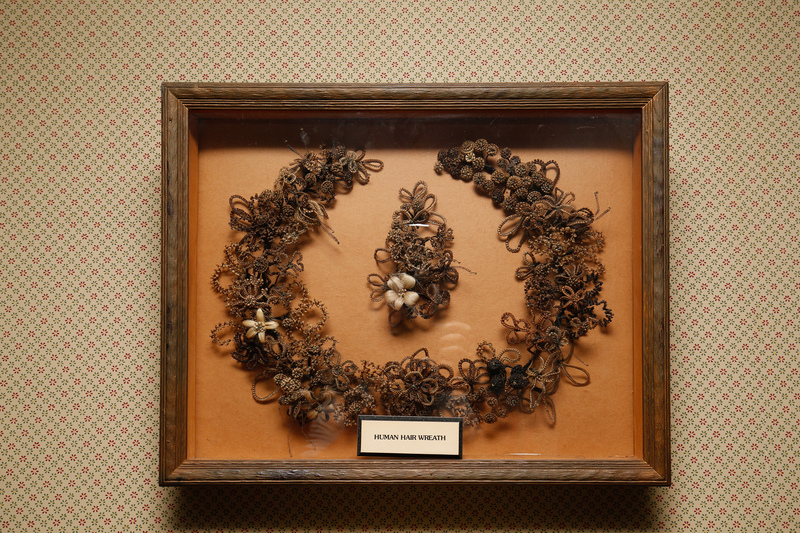 A wreath made of human hair at the Sterne-Hoya House Museum.